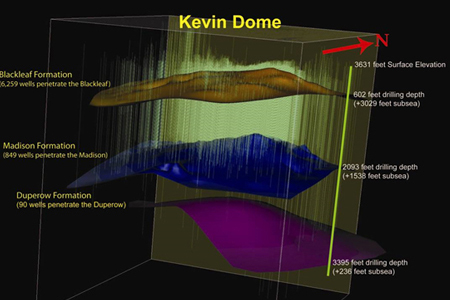 Scientists and engineers at BSCSP are using geologic modeling techniques to create computerized 3-dimensional maps of the subsurface environment at Kevin Dome. Modeling is an important component of the project and helps guide site selection, site characterization, infrastructure design and permitting, and risk evaluation and management. Researchers use modeling to simulate conditions in the subsurface related to CO2 injection. 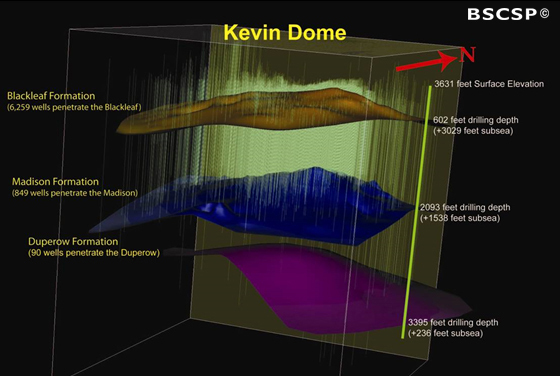 The first step in this process is the creation of a geostatic model, a 3-dimensional representation of the rock formations, structural characteristics, and rock properties (such as porosity and permeability) at Kevin Dome. The geostatic model is then used as a basis for simulations to estimate CO2 plume migration, subsurface pressure changes, chemical reactions, and more. The results of these simulations allow the team to understand and anticipate the movement and behavior of the CO2 once it’s been injected underground. 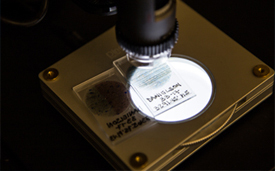 To model the geology and run the simulations, BSCSP scientists utilize a variety of software applications. Schlumberger’s Petrel software is used for creation of the geostatic model. Lawrence Berkeley National Lab’s TOUGH suite of simulation codes provide the numerical models to investigate CO2 injectivity, pressurization, and plume movement. 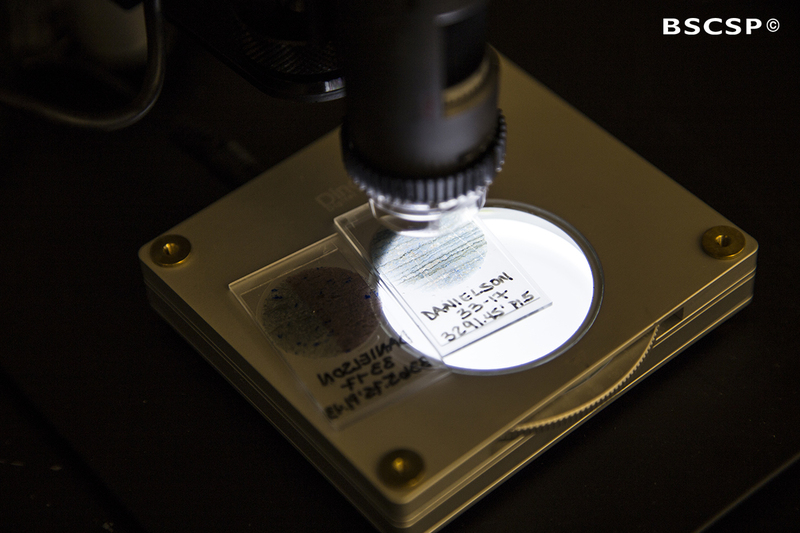 The codes are also used to evaluate potential rock reactions, such as dissolution or precipitation of minerals, caused by CO2 injection into the reservoir. Understanding reactive geologic properties is important in assessing how injected CO2 may alter the reservoir rock and change its porosity and permeability over long time periods. Other modeling efforts address permitting and risk analysis. Los Alamos National Laboratory has developed a system-level model, CO2-PENS, that is used by the partnership to assess the risk level of various stages in the project, from pipeline transport to reservoir injectivity. The results help develop risk mitigation strategies to ensure a safe project. The models used by BSCSP involve a substantial amount of data and processing. It is crucial that information is managed appropriately so that it can be effectively integrated into modeling systems. The data is diverse in topic and format, including surface environment and infrastructure data, characteristics of the geologic subsurface, and operational data. To maximize the utility of this information, BSCSP has created a suite of web-based tools, maps, and databases to document and share information among partners. Together, these tools help to facilitate the transfer of knowledge among project personnel and inform timely decision-making and research efforts..